Maps & Rules available on the Information Dowloads menu..
Congratulations to Hopevale X, Outreach League Tournament Champions for 2009. They defeated Community Baptist 2 games to 1 in one of the closest and most exciting final series in recent memory. Congratulations also to runner-up Community Baptist, a perennial powerhouse. 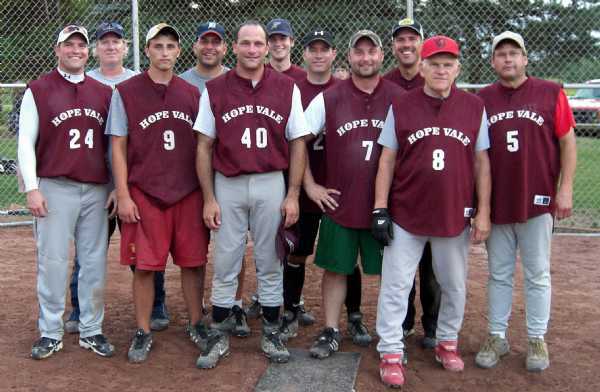 They appeared in the League Championship Finals for their third time, having won the championship both previous times. THANK YOU - Thanks to everyone for making this year's tournament an excellent one. Special thanks to Phil Turner for again handling the scheduling duties.